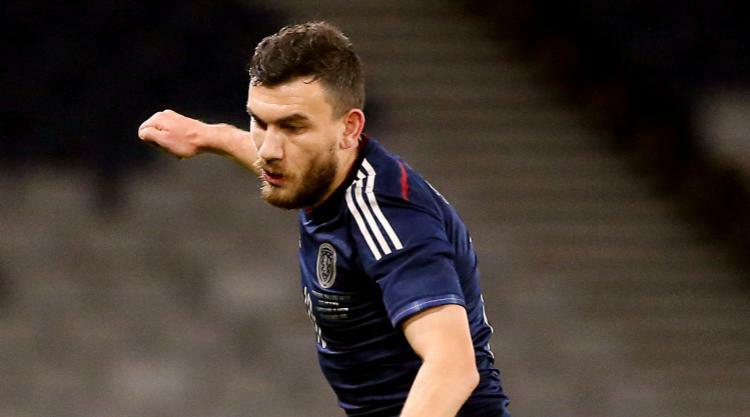 Robert Snodgrass believes he is back at "square one" in his Scotland career. Robert Snodgrass believes he is back at "square one" in his Scotland career - but he is determined to emerge a better player after his long spell on the sidelines. Snodgrass is looking to make his first Scotland appearance since November 2013 when Gordon Strachan takes a squad to Prague for a friendly on Thursday. The former Livingston player endured a 15-month absence after dislocating his kneecap on his league debut for Hull in August 2014 but has now played 18 times since his return to fitness. Snodgrass is joined by 10 uncapped players in Strachan's squads for games against the Czech Republic and Denmark and he is happy to fight for a place with all of them. The winger, who has scored three goals in 15 internationals, said: "You are always at square one, every time you meet up with Scotland. It doesn't matter what you have done in the past, I don't think it guarantees you anything. "The manager is still shouting at me anyway. But the game is always changing. The manager has an image of the way he wants to see Scotland play and we have started to change that slowly but surely. And we just fell short of qualifying." Snodgrass fought long and hard to get back to fitness but he is not ready to stop the hard work. "I need to give him a headache," the 28-year-old said. "I need to perform at a level that I feel as if I have done over the last five or six weeks. "I feel as if I am back to where I was. Right now I don't feel as if that is good enough. I want to kick on again. "I have put these long hours of rehab in to kick on again. I want to be a better player and you are always learning. "I learned something on the training ground today, just being back with the manager and staff and all the players. And he is trying to adapt my game." The former Norwich and Leeds player does not see his return as a chance to make up for lost time - he just wants to make the most of each opportunity he is given. "I'm one of these characters who live for today," he said. "If you can learn that day and progress that day, then do it. "Like a sponge, you are always soaking things in and that's exactly what I learned through my rehab: what you can do differently and what you can do better to try and progress. That is exactly the way I have approached coming into the squad." Snodgrass admits pulling on a dark blue jersey again will be a significant step. "It was one of the last hurdles," said Snodgrass, who was promoting the Homeless World Cup, which will be staged in his native Glasgow this summer. "I had always been around the lads and been a bit of a pest seeing them in hotels, so to get back playing with them was a hurdle I always wanted to jump. "It would be terrific. It is part of your rehab journey. I wanted to get back playing for Hull City and start helping them, scoring goals, creating goals. I have started doing that and they are surprised at how well I have actually done. I am training every day. "It's only natural that the next step is to get back involved with Scotland. But not just involved: I want to be doing what I am doing at club level and hopefully get off to a good start on Thursday."